We celebrate most holidays in our house—so yes, that means we’re getting ready for Easter and Passover. And my kids and I have created the perfect treat for both occasions! 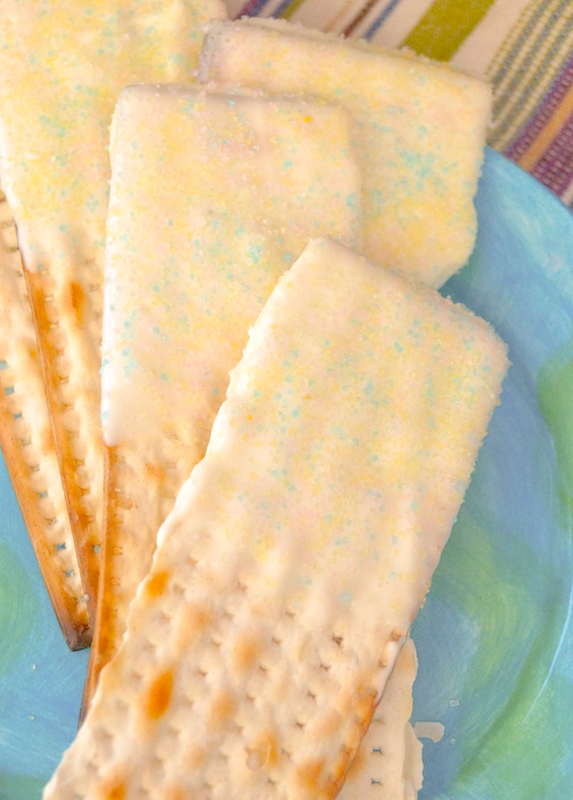 The white chocolate dipped matzo is for Passover, and the pretty pastel-colored sprinkles are, of course, for Easter. You can also use dark chocolate and sprinkle them with any decorative candies you like. I’m thinking milk chocolate and Santa Clause sprinkles for Hanukkah and Christmas. Get it? Fun, isn’t it? 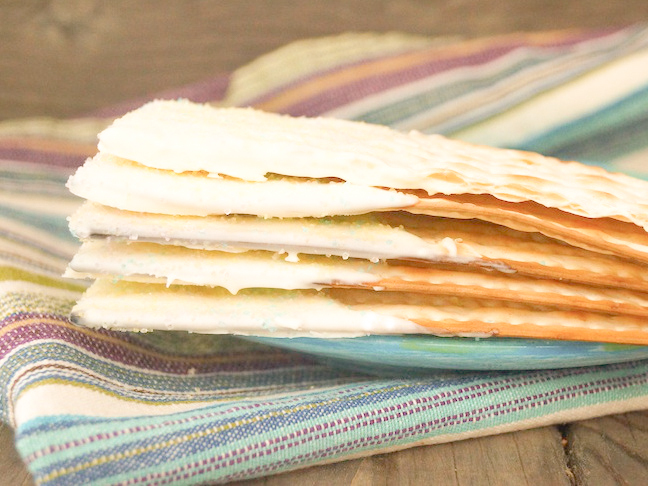 Combine the best of both holidays with these Easter/Passover treats! Step 1: Line a baking sheet with parchment paper and set it aside. 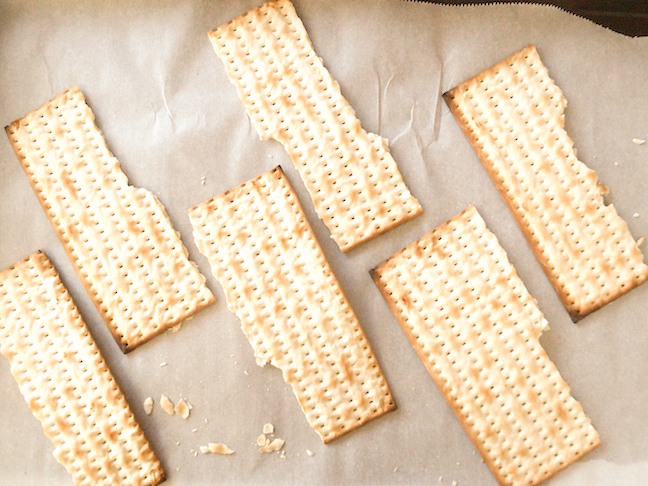 Step 2: Break the matzo crackers into three vertical pieces. (They might not break exactly how you want them too; that's okay, they can be any shape or size.) 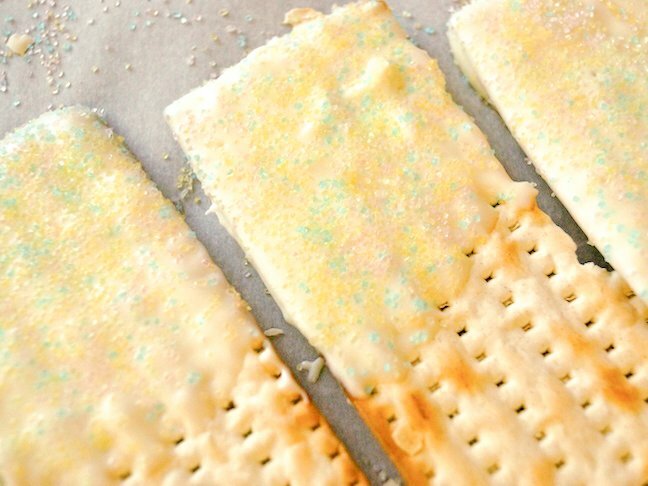 Place them on the parchment-lined baking sheet. Step 3: Melt the chocolate in a small, deep bowl or mug—either in the microwave or in a double boiler. If you use a microwave, melt it in 30 second increments, stirring each time you pause. 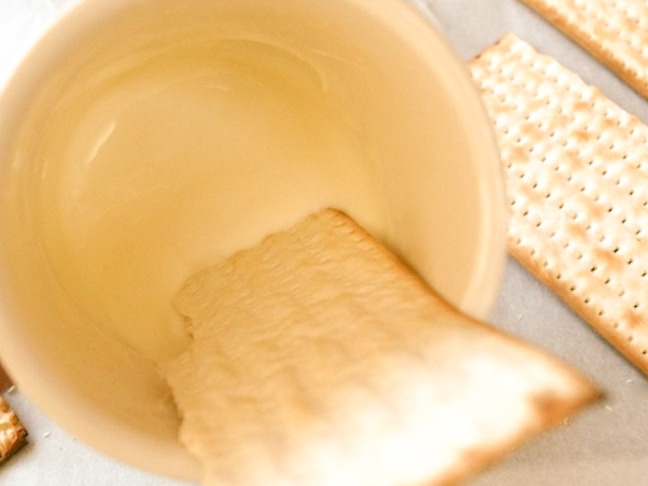 Step 4: Holding one end of the matzo, gently dip the bottom third into the chocolate. As you lift it out, let any excess chocolate drip off. 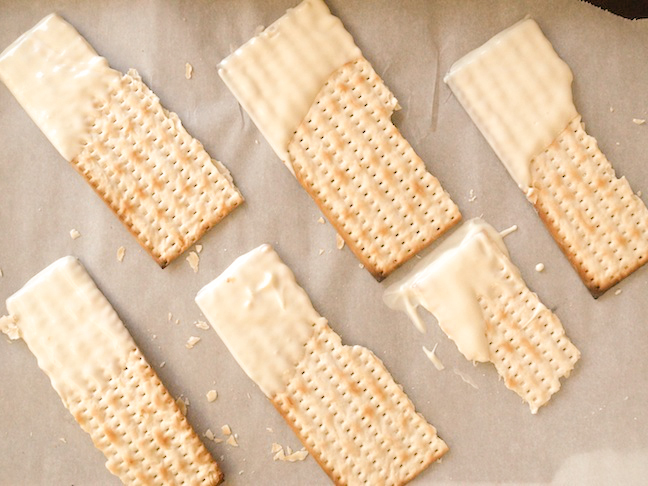 Step 5: Place the dipped matzos back onto the parchment-lined baking sheet as you go. Step 6: Immediately—while the chocolate is still wet—sprinkle them with the sprinkles. Step 7: Let them dry/set on the baking sheet at room temperature, about 10 minutes.